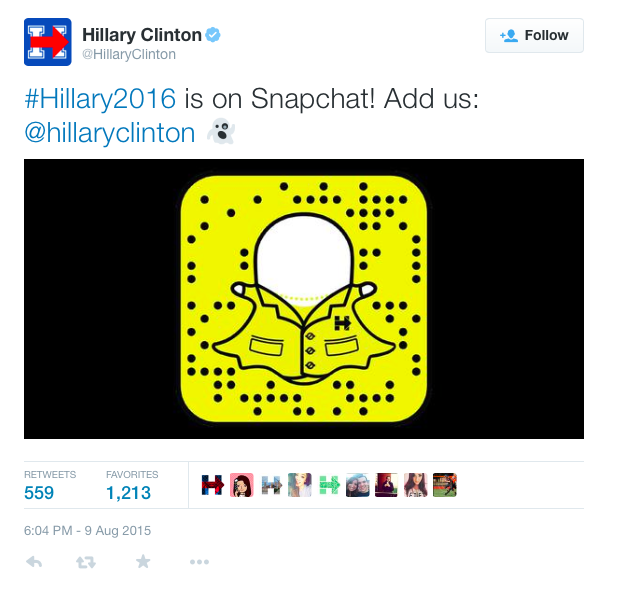 When Hillary Met Snapchat . . . The 2016 presidential hopefuls are on mobile platforms like Brown on Williamson. Instagram, Pinterest, Snapchat, WhatsApp – WhatsEver. But it’s not always pretty. Case in point: Hillary Clinton’s baptism by Snapchat this week. Damned if we know. But it’s probably not good. This entry was posted in Uncategorized and tagged #Hillary2016, 2016 presidentail, @hillaryclinton, Hillary Clinton, Instagram, like Brown on Williamson, Newsweek, Pinterest, Snapchat, WhatsApp. Bookmark the permalink. 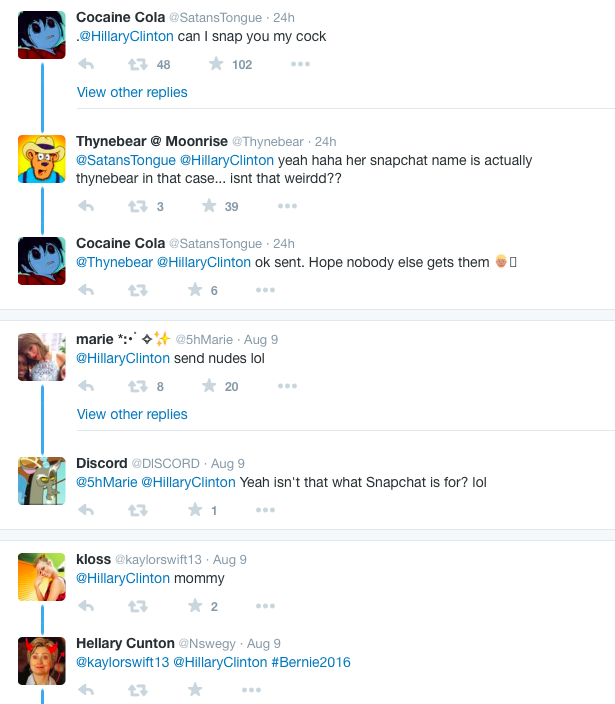 2 Responses to When Hillary Met Snapchat . . . Ya gotta reach the kids. And this is what you’d expect when you finally do. At least we haven’t lowered the voting age to 10 or so.